How to Fold Money Medals? Do you want to own money medals ? You must see many Koutack by using paper! Just image if you use your carry-on dollars? Magic power to create boat, airplane, cloth , shoes, animals, camera and so on! For children, Koutack is a good way to develop operational ability. Ha-ha, today, in the first class, I will teach you how to fold money medals with dollars. Let’s start from simple methods by using paper firstly! Step 1 – Laying out your dollar, folding in half along the center line and opening. Step 2 – Folding in the dotted lines to meet the center line from left to right. Step 3 – Double up from top to bottom, and folding along the center line. Step 4 – Folding along the diagonal line in the second grid and flattening. Step 5 – Folding along the diagonal line in the third grid and flattening. Step 6 – Folding along the diagonal when you see the two trapezoid. 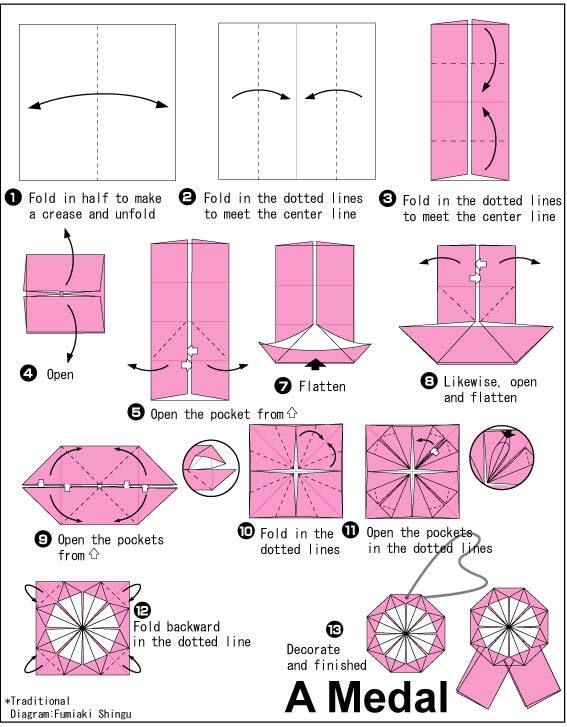 Step 7 – Folding in the dotted lines. Step 8 – Opening the pockets in the dotted lines. Step 9 – Folding the backward in the dotted lines. 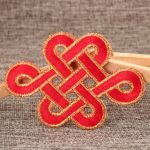 Step 10 – using another dollar to make a ribbon and match with the finished one. The flow chart is as follows. 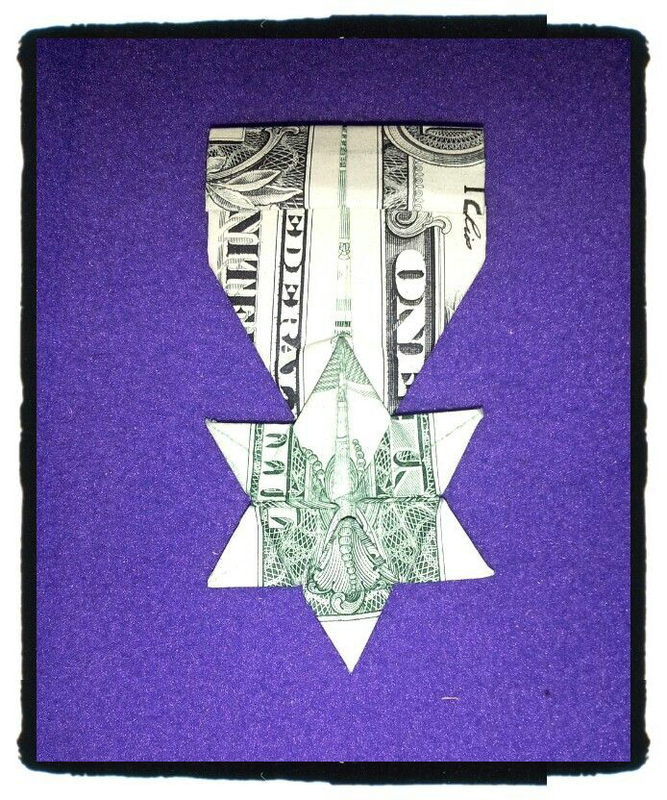 Now, we can use dollars to fold our money medals. This step will be a little difficult. Please watch these two videos carefully and then I will teach you step by step. When you finished, your artwork will be presented like the following picture. 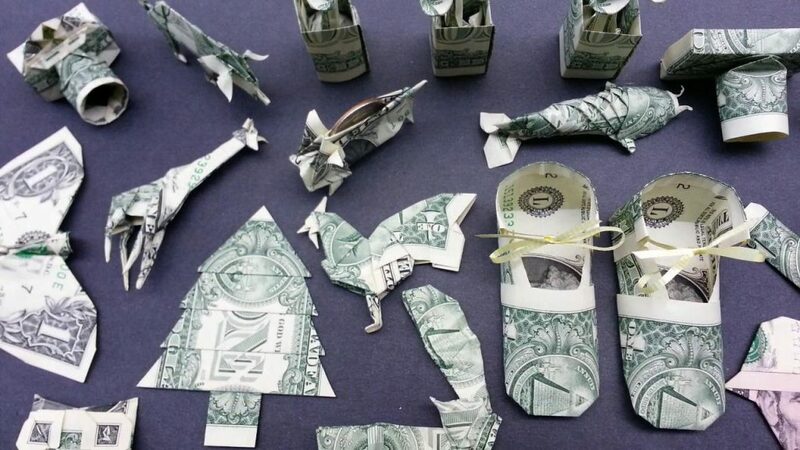 Of course, if you are scared of damaging your dollars, you can replace it with paper. Paper is a nice material to make medals. Just like the following. 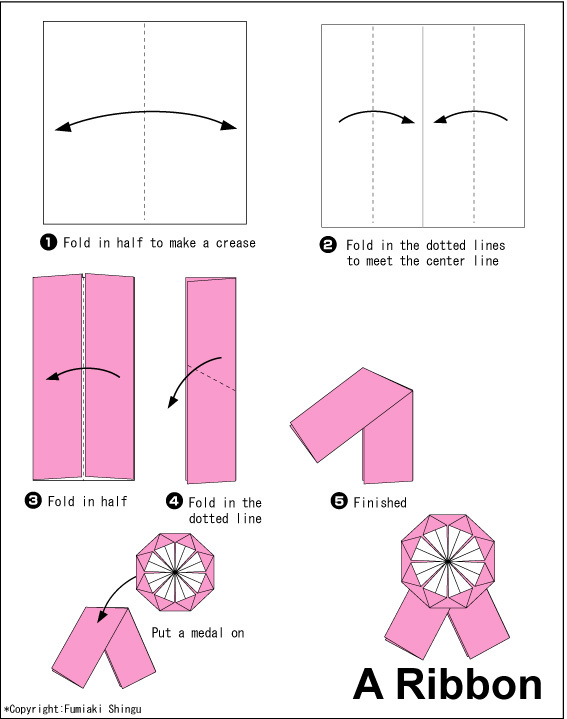 There are many folded method to folded medals. If you have a new idea, you can share with me. Do you like Koutack? Come and have a try! 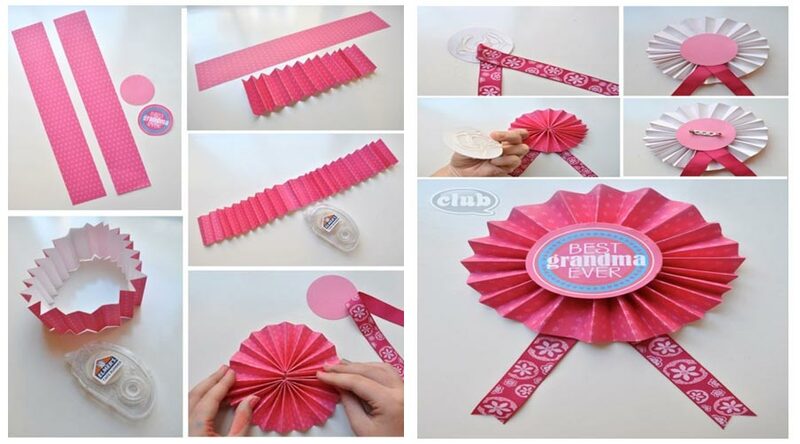 If you are interested in DIY medals, you can browse << DIY Medals out of Paper >>. 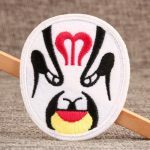 hstydak,Thanks for sharing such an amazing blog. I am so happy found this informative blog.